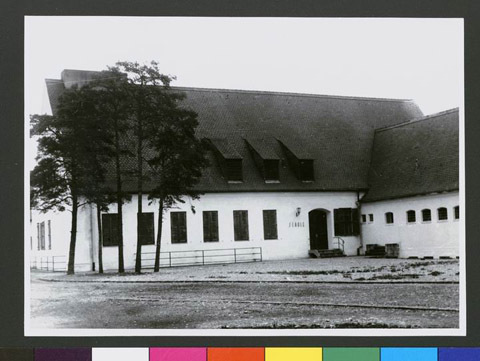 JDC - Archives : Outside view of the "Schule" in Camp Foehrenwald. Search > Search Results > Outside view of the "Schule" in Camp Foehrenwald. Title Outside view of the "Schule" in Camp Foehrenwald. Description View of the 'Schule' or school, in the Foehrenwald DP Camp located southwest of Munich, near Wolfratshausen. Possibly the yeshiva building.